It’s another fancy icing tool – you squish the icing in and fancy shapes come out. I never see them being used on Bake Off, they should give them a go instead of their weird sludge-coloured landscapes. Joandi could win Bake Off if we could enter as a team. But probably not on our own. 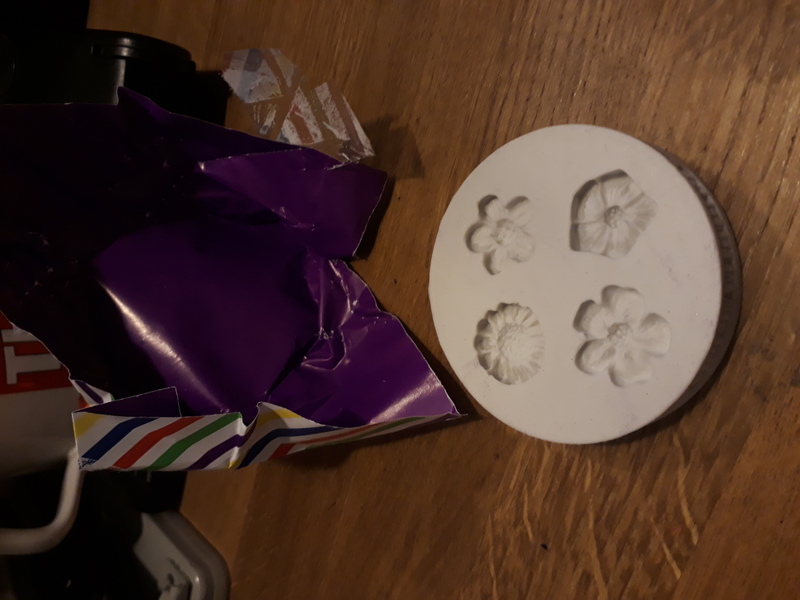 It’s a mould for making detailed flowers out of icing! This is very useful if you like making elaborate cakes like me and Helen. And again, whatever can it be? It’s one of those puzzles that drives you mad where you have to take some things apart and even once you’ve done it you never know how. Argh! It’s an angel themed pencil – very Christmassy! Actually, the pencil shows Michael Angelo’s painting of The Last Judgement – when we all float up to heaven and get sorted into good or bad. This is less Christmassy. It reminds me of the time Helenandi went to see the Sistine Chapel and I did not see the most famous bit with the two fingers. I also remember that trip because we were massively over-charged by the nasty woman who sold us our bus tickets. Those were the days when different countries in Europe had different money – lira in this case. Memories! The pencil is unsharpened, which is GOOD. 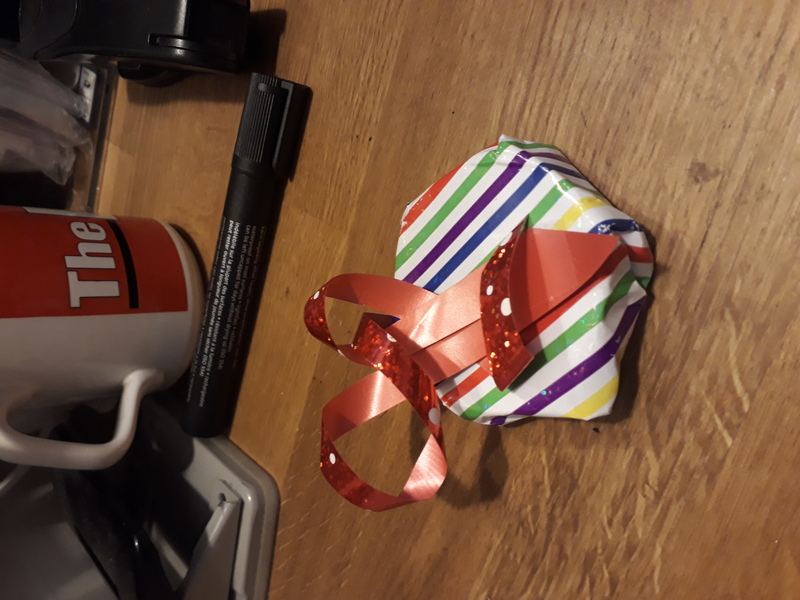 Joandi have many advent traditions – e.g. watching trashy Christmas films, being some of the only people we know to still send Christmas cards, and of course the daily helenandjo advent update. Like a helenandjo advent calendar with one of us leaping out from behind every door. Hmm, it seems to be a dead bird, possibly caught by my tiny hunter cat Northey. Or maybe a harmless Christmas decoration. Probably the latter. Very cute. As Jo mentioned below, I had to return two pairs of jeans to high-street clothing store H&J recently because they had sent the wrong size due to a kerfuffle involving the store changing all their sizes to match the sizes that people actually are. Finally they sent a third pair in the correct size. Hooray, I though. But my victory was short lived and they turned out to have a flaw in the dye, so they had to go back as well – argh! I had to order the jeans online because they didn’t stock them in my local branch of H&J, but did click and collect from the store (so it too six trips in there to be left with no jeans – three pickups and three returns). I got to know one of the people behind the counter pretty well after all that. But I was pleased to see that on my last visit there, they had a whole rack of the previously online-only jeans – I managed to buy an unflawed pair in my size at last! I have come to the conclusion that it is entirely down to me that they are now on sale in the Northbampton store. Their algorithms must have picked up a sudden surge in internet-orders to be collected from that store and kicked into action to stock them as standard. Their belief would have been further compounded when I bought a pair on almost the first day they were in stock. But the rest of the jeans will probably now languish there forever until jeans are no longer fashionable (are jeans fashionable?) because in truth, I am their only customer. 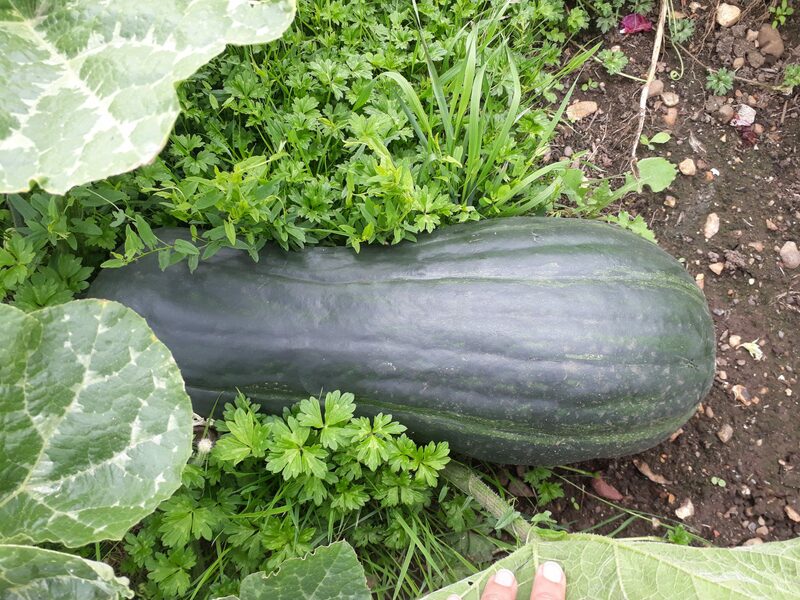 I have grown this mystery squash on my allotment. You can just see my fingers at the bottom of the picture for scale. Helen gave me the plant but even she is not sure what type of squash it is. She suggested it was just a big courgette but it is not because it has a hard, waxy skin. I wonder if it will taste nice and when I should harvest it. Yet another Helenandjo Mystery waiting to be solved. Other open cases include The Mystery of the Balloon in the Garden and The Mystery of Which Moron Vandalised Our Trees – see previous posts. Fresh from dealing with vandals entering my garden and attacking my trees, I was forced to deal with another intruder today. This! A dreadful balloon, which had also come into the garden without permission. 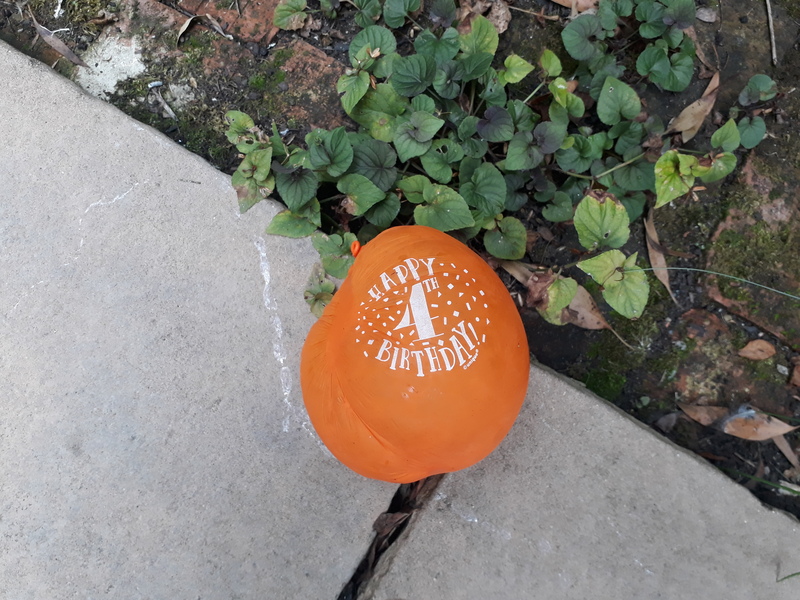 I don’t know which selfish four-year-old it belongs to but they too deserve to be fined/jailed – like the tree smashers -for letting a beastly balloon float willy nilly and into the garden of someone who loathes balloons. 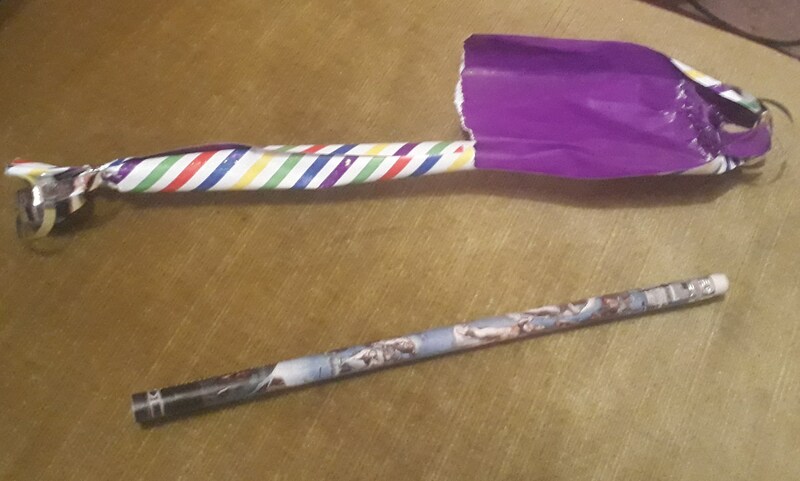 Thankfully the balloon was quite withered and old enabling me to carefully snip it with some scissors and defuse it. What next?! Helenandi are seething with rage after someone came into our back garden and broke loads of branches off our trees!!! The prime suspect in this new case for Helenandjo Ace Detectives is someone from the industrial estate that backs onto our land. 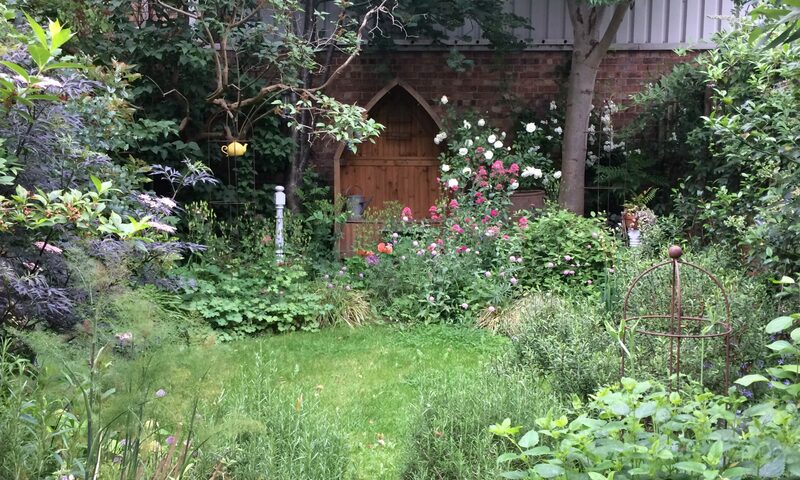 We suspect someone has attacked the trees because they somehow believed they were encroaching onto their property even though the poor trees were not doing any harm and we have been careful to get them professionally pruned so they do not overhang the warehouse that adjoins our garden. Some of the branches have been cut but most have simply been snapped as if someone had stamped on them. My finely honed detective skills also suggest the perpetrator may have actually come into the garden – some of the plants at the back look like they have been trodden on and there are what could be footprints in the soil. The ferms are decidedly flat. This is trespassing and against the law. 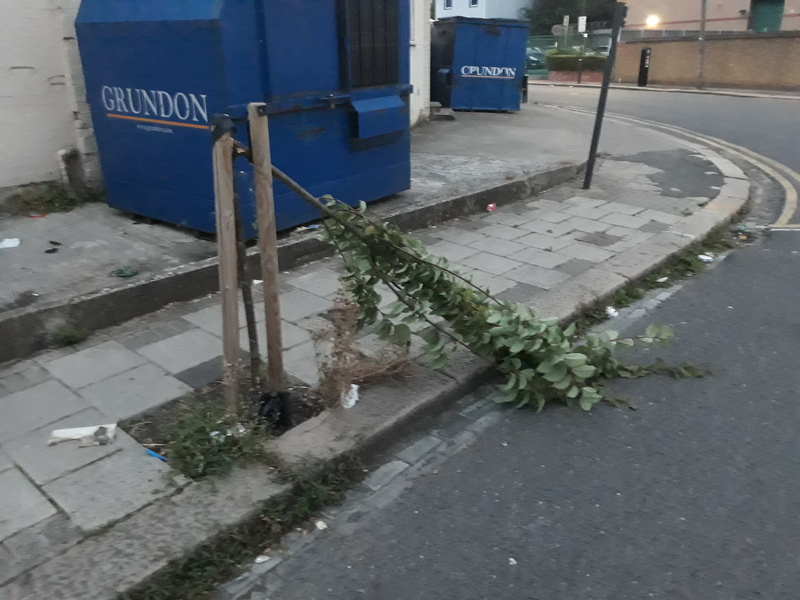 Naturally we have reported the tree vandalism to the police but fear they may regard this as a trivial matter like the time Helen reported a man for weeing on the trees in our street. Some horrible person thought it would be fun to snap it in half. This tree cost £250 and is now DEAD. However, we are used to people damaging trees in the street but not in our own garden. All this adds up to a sea of despair and hopelessness. Black black black!!!! I have just noticed that my last post about complaining to my bank was entitled “major victory” as was my post on November 1 last year about finally managing to order the correct freezer flap third time around having been sent the wrong one twice. Helen tells me she too had a major victory this week after she finally managed to get the right jeans having been sent the wrong jeans twice – echoes of the freezer flap debacle. One thing people can never accuse us of is giving up.